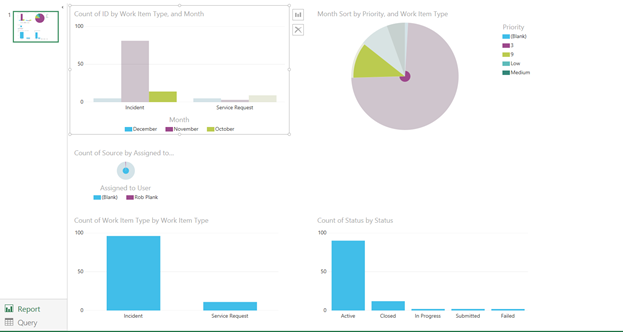 In December Microsoft released a preview version of the new Power BI Designer they are building. This new tool will make it easier to get data into a report. You can see this improvement already in the preview here is a screen shot of some of the data sources you can select from. 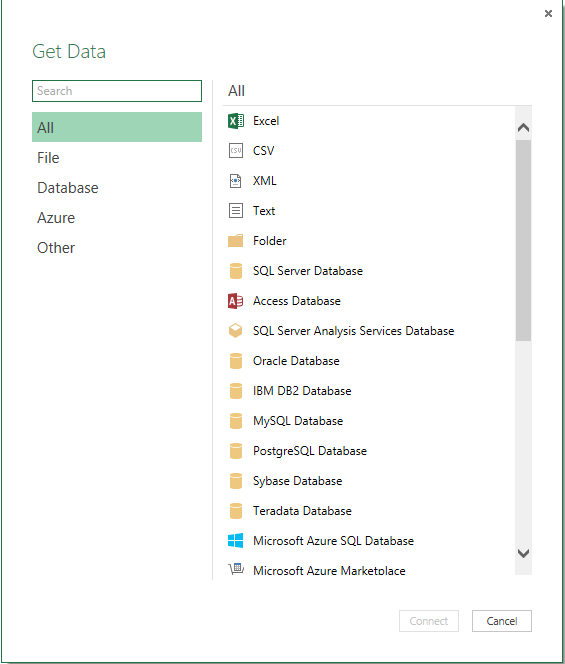 Once you have your data source setup you can edit your query before loading the data, here is the transform tab to give you an idea of what data modeling options you have available, most of these seem similar to the Power Query options in Excel. You can enable the formula bar in the view tab, but I don’t see a way that you can create measures (using DAX like you can in Power Pivot in Excel) currently so this would need to be done in your data source. Here is a quick report page I built while testing. My initial thoughts are this looks like it is going to be a great tool that can be used to build rapid reports if there is an enterprise data model already built. Few features I would like to see added: the ability to change the titles on the graphs, ability to control the colors of the individual graphs, ability to show the values. Over all I am really impressed with this new app, it appears to be a fully function app that you could use today. For more information you can check out the tutorials Microsoft has posted here. This entry was posted in Power BI and tagged Power BI, Power BI Designer, Power BI Designer Preview, PowerBI. Bookmark the permalink.